On my travels this week I found myself staying in a wonderful Marriott hotel in Hartford, CT. I won’t even try and hide it, I am a hotel snob and will try and stay in a full service hotel any chance I get. Yes the rooms are wonderful. Yes, the concierge lounge is a great amenity but what I really look forward to is the gym. I know if I am staying full service, there will be a full service gym as well. I get legitimately excited knowing that I have all of my gym options available to me. Full service gyms make me a happy traveler. 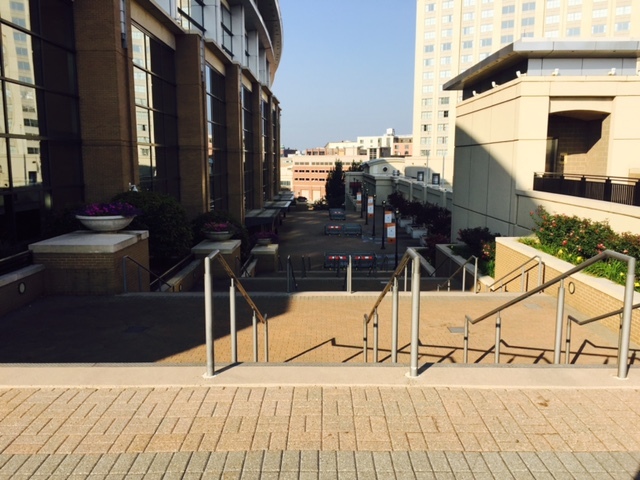 As my cab pulled in under the portico at “oh My God’ early this morning, I caught a quick glimpse of the stairs leading up to the Connecticut Convention Center next door. Stairs that were clearly and loudly calling my name. I have no idea why but I had an inkling then that I would be skipping the gym the following morning and heading up those stairs. Again and again and again. Even though I was arriving late I made sure the alarm was set for enough time to do the workout in the gym that my heart was heart set against. As I was appropriately adjusting my phone’s settings, I kept telling myself I could always sleep in and hit the great gym on the 22nd floor. When the alarm finally went off at 7:00 AM I was already awake. Time to get moving. So after fully surveying the scene, I got back in the elevator and headed down to the lobby level and out the front door, walked next door and stared up at the stairs. Up 100 stairs. Push up or dips at the top. Run back down 100 stairs. Squats or pistol squats at the bottom. Up and down 20 times. This was a workout I did alone. There were no others there to lend that non-verbal supportive head nod like you get in San Diego (read about that run here). Just me, 100 stairs and a goal – 2000 stairs and it was awesome. Sometimes the subconscious has to win. 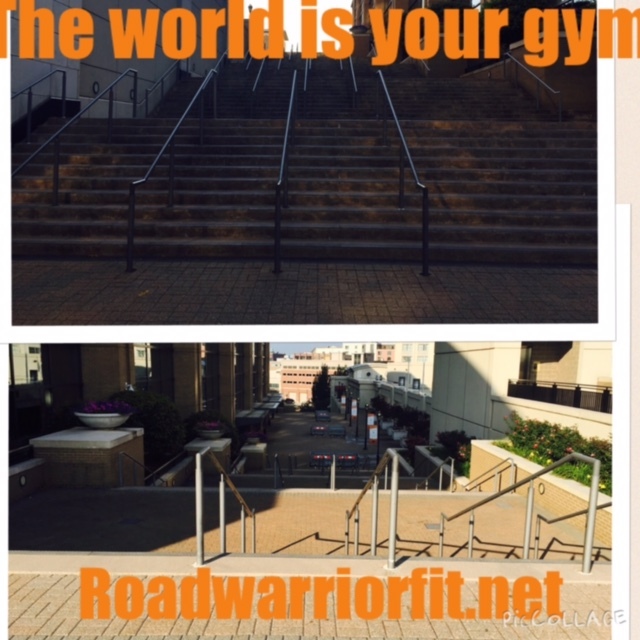 Sometimes you have to skip the gym in order to hit the stairs. Sometimes you just have to crush it.